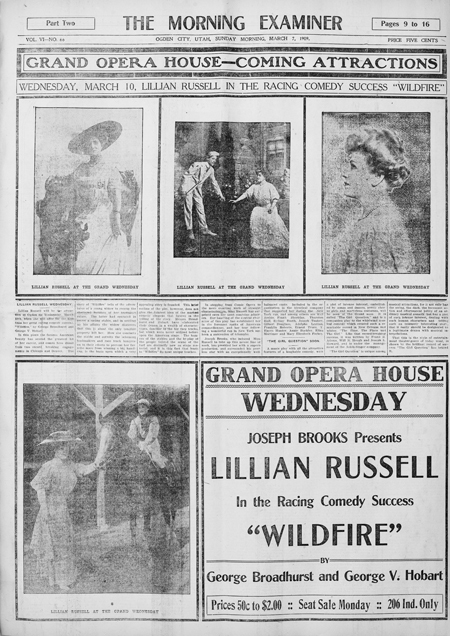 Today in History–November 22–the Library of Congress features musical theater star Lillian Russell, who made her debut at Tony Pastor’s Theatre in New York City on this date in 1880. Performing light opera and vaudeville shows, Russell had a successful career for nearly three decades. After, she devoted much of her time to politics. Learn more about Ms. Russell by visiting the Today in History section, then click the links below to access primary sources related to one of America’s first celebrities.